A rail terminal near Edmonton that oilsands producer Cenovus Energy Inc. bought for $75 million sits underutilized just when it’s most needed. The Bruderheim crude-by-rail facility is operating below its potential because of a shortage of locomotives, the company said last week. 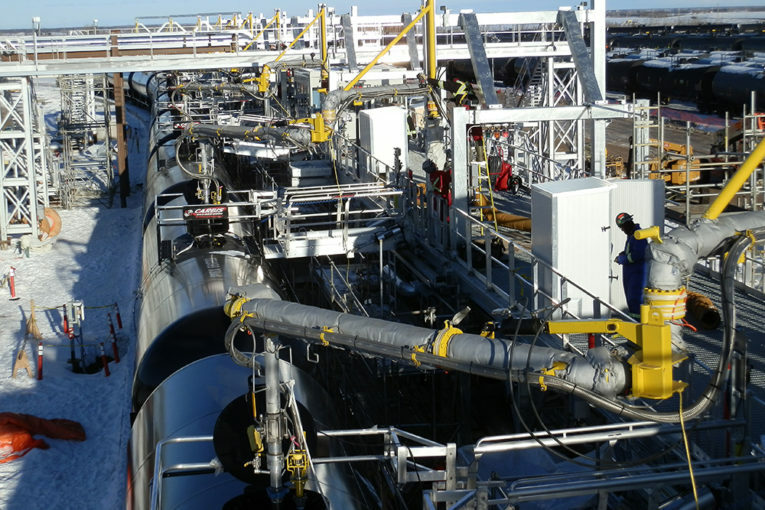 The USD Group LLC’s terminal in Hardisty, Cenovus’ Bruderheim terminal and the Kinder Morgan Inc./Imperial Oil Ltd. Edmonton terminal are shipping less than one-third of their combined capacity. Crude shippers began investing in crude-loading terminals early this decade when oil prices were higher and pipelines weren’t keeping pace with growing production. Producers cut rail shipments when oil plunged in 2014 and pipeline capacity opened up. Now, with oil prices recovering and pipeline space again limited, rail companies, once burned, are now demanding longer-term commitments. A Canadian Pacific Railway Ltd. train transporting oil leaves Hardisty, Alta. “Nearly all” of 130 leased locomotives Canadian National secured earlier this year are in service and “we continue to hire hundreds of conductors and are preparing for a record $3.2 billion capital program,” spokesman Patrick Waldron said in an email.